10% discount off our entire product range for education authorities. 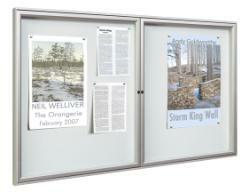 Notice Board Company are offering 10% discount off all of our product range to all school and LEA's. This offer finishes the end of July. This offer is only available to schools and LEA's, also, it finishes at the end of July. Every board on our website has a great 10% discount. Notice Board Company notice boards ranges between standard, lockable, external, mobile, fire retardant, hospitality and magnetic/drywipe boards.